Fujitsu LifeBook MH330 thickness of only 24.5 mm, which leads him to a level of subtlety really record for the sector. The rest of the sheet provides an integrated Intel GMA X3150 graphics card, Bluetooth v2.1, WiFi 802.11b/g/n, 5in1 memory card reader, webcam, 3 cell battery, 3 USB ports, D-Sub , Starter operating system Windows 7 and a price of around 300-350 euros. This entry was posted on July 16, 2010 at 5:56 am	and is filed under Notebook Technology. 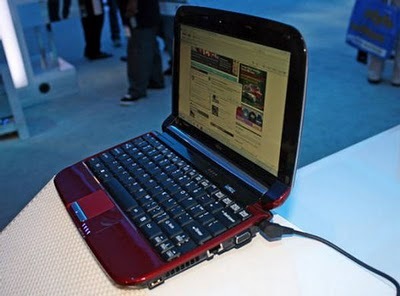 Tagged: Fujitsu LifeBook, MH330 Netbook, Notebook Technology. You can follow any responses to this entry through the RSS 2.0 feed. You can leave a response, or trackback from your own site.